Slide movements are an essential part of any filmmakers repertoire and CineDrive® accomplishes them with precision. Although each of CineDrive’s optional slider motors can achieve an array of shots, to allow each user to customize their kit depending on the task at hand, we offer 5 different motors, each with unique gear ratios. 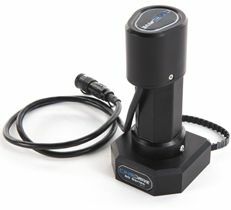 Other companies sell devices with fixed motors and claim they can provide the necessary speeds for capturing live action and the torque necessary to easily capture a vertical time lapse shot with a single gear, but the reality is, much like a bicycle has different gears to climb a hill or ride on level surfaces, using the same motor for every application is less than ideal and many times requires expensive add-ons and counterbalance products that make set-up difficult and increase costs. Please keep in mind that if you do choose a motor that can be back driven, if you have a power loss to the system, your camera can possibly back drive (reverse/fall) rapidly and damage could be possible. *Slider motor screws & mounts NOT included.